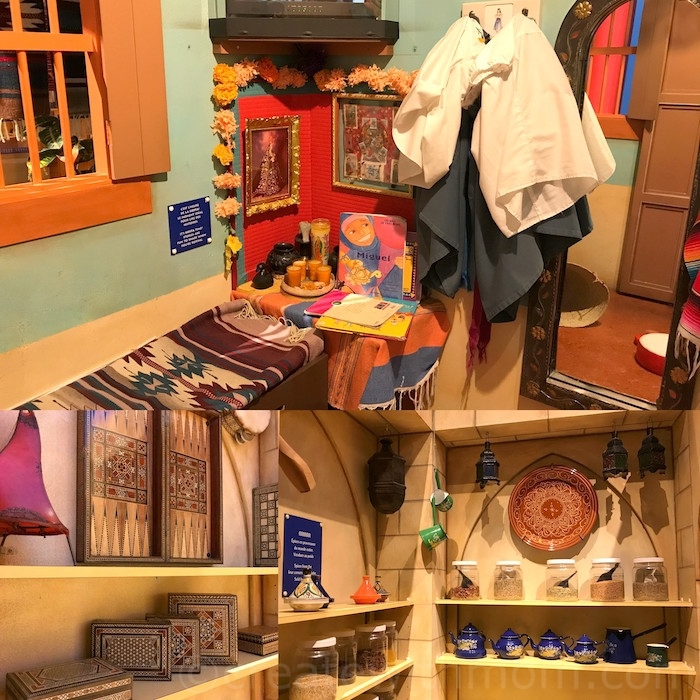 I like how this museum enhances our knowledge, understanding and appreciation of events, experiences, people and objects. It reflects Canada’s history and identity, as well as makes us become aware of world history. 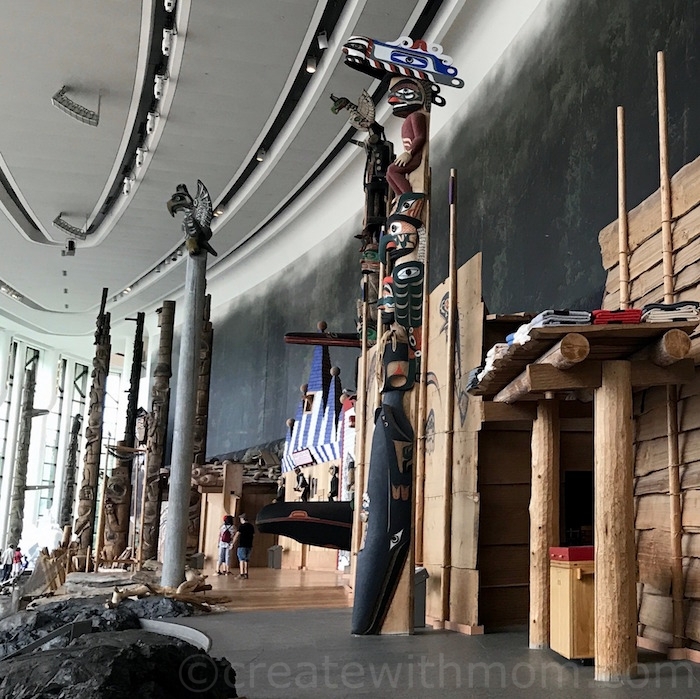 The Grand Hall focuses on the First Peoples of Canada’s Pacific Coast and has the world’s largest indoor collection of totem poles. We saw objects, images, dioramas and documents of traditional cultures of Aboriginal peoples. 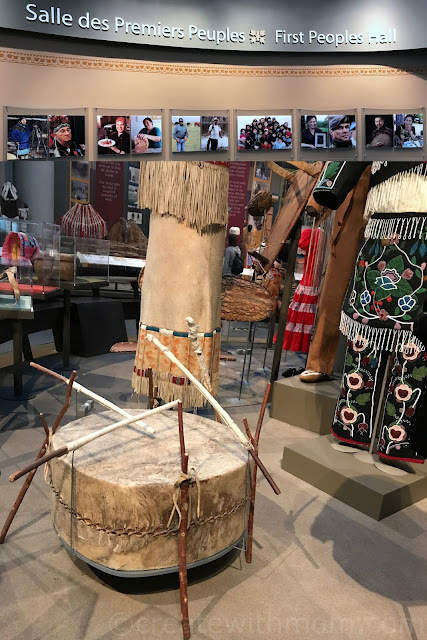 The First Peoples Hall showcases the history and cultures of Canada’s First Nations, Metis, and Inuit peoples. 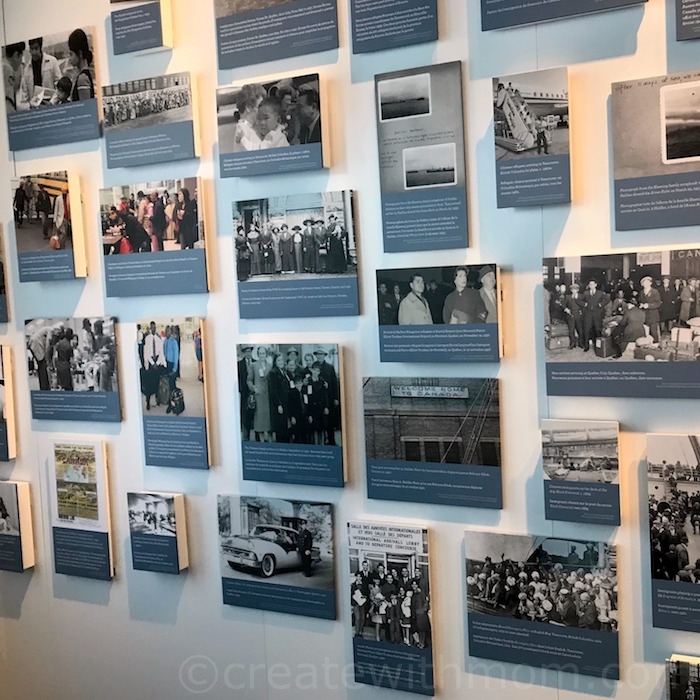 The Passageway that leads to the Canadian History Hall has 101 silhouettes of familiar Canadian landmarks, symbols and activities. Canadian History Hall tells us the story of Canada from the last Ice Age to the present day. 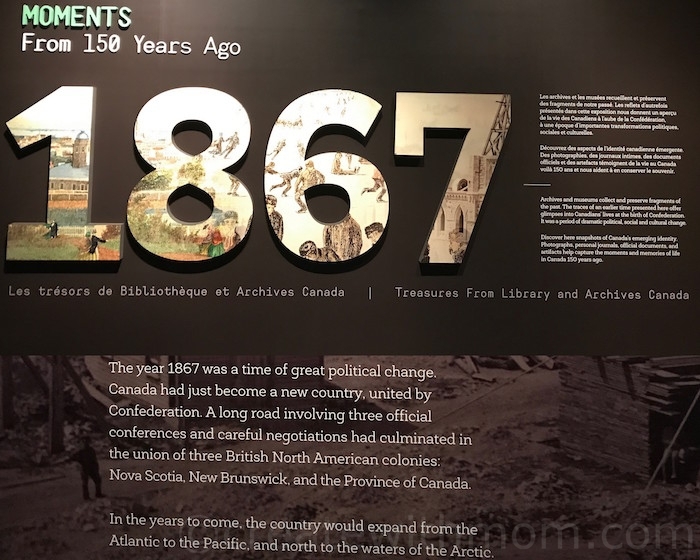 There are three exhibition galleries that focus on separate chronological era in Canadian history. Early Canada 15000 years ago to 1763 shows how Indigenous peoples have lived on this land for thousands of years before the arrival of Europeans that disrupted the indigenous order. It shows how both communities strived to maintain traditional ways while adapting to new realities. There is archaeological evidence of Indigenous cultural traditions based on oral histories passed down by Elders in each generation. In this area of the museum, we can learn how permanent European settlements established, the competition between France and Britain for dominance in North America and the British conquest of New France. Colonial Canada 1763 to 1914 shows how British North American colonies achieved a degree of self- government through struggle and accommodation because of demographic, economic, social, political and cultural forces. The dramatic rise in the non-indigenous population, conflicts between Euro-Canadians, the Metis, and First Nations over control of land and resources in the Canadian West and the beginnings of Canada’s transformation into urban and multi-ethnic country. 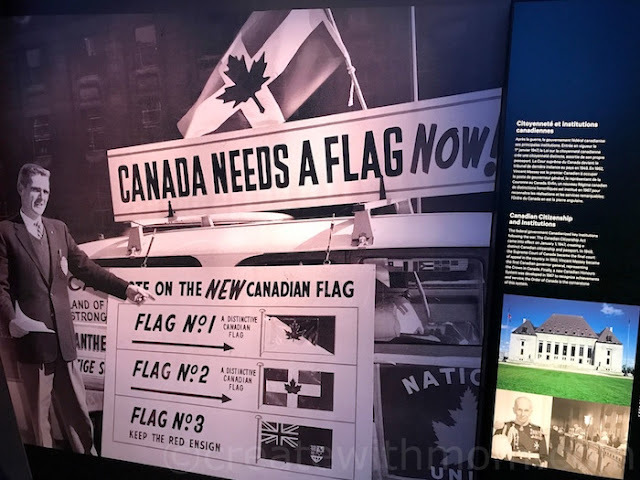 Modern Canada 1914 to present day shows Canada’s contributions in two World Wars, Great Depression, economic prosperity and political independence. 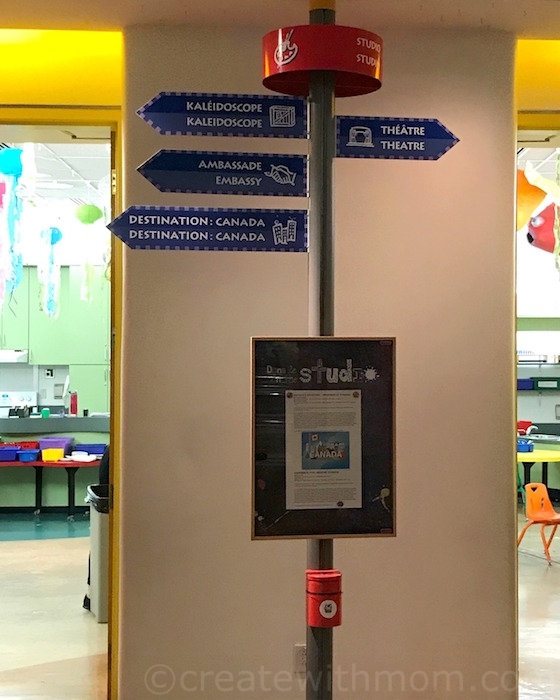 The Canadian Children’s Museum gives us a chance to travel the world and to have an intercultural understanding. We enjoyed going through the Children's museum, as children stamped their passports and explored the hands-on activities and crafts from around the world. At the CINE+ 360 degree movie theatre we saw Horizon a Visual Symphony of Canada. This movie highlighted beautiful images celebrating Canada’s diversity and multiculturalism in the 4K laser projector similar to IMAX. We can tilt the seats back and watch the 23 metres wide and 16 metres diameter screen. 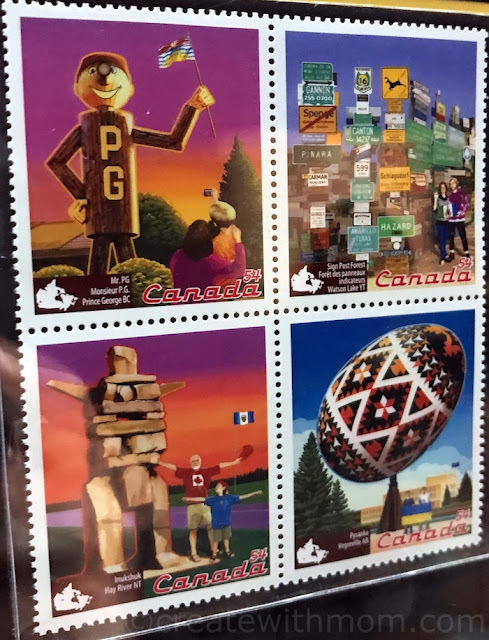 The Canadian Stamp Collection has more than 3000 stamps that Canada has ever issued and behind the scenes stories and unique artifacts. 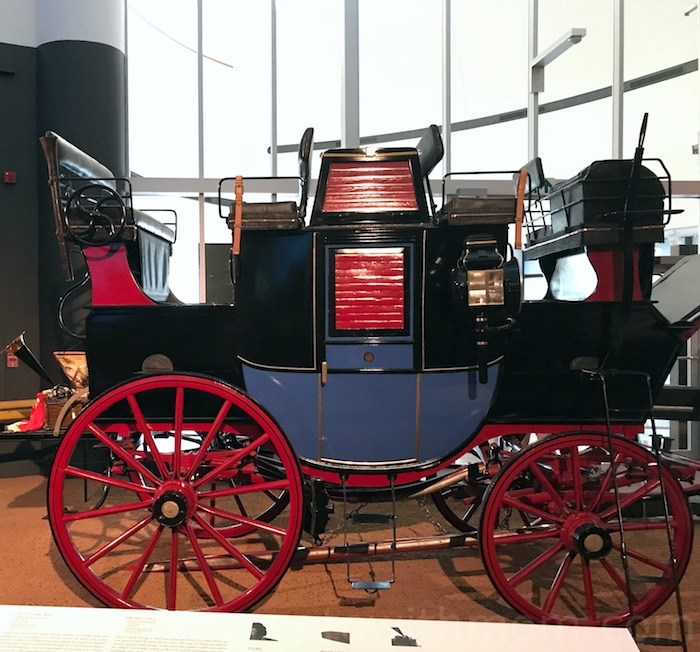 Horse Power exhibit will be open until January 7, 2018 shows the craftsmanship of 18 horse drawn sleighs and carriages between 1770 and 1950. 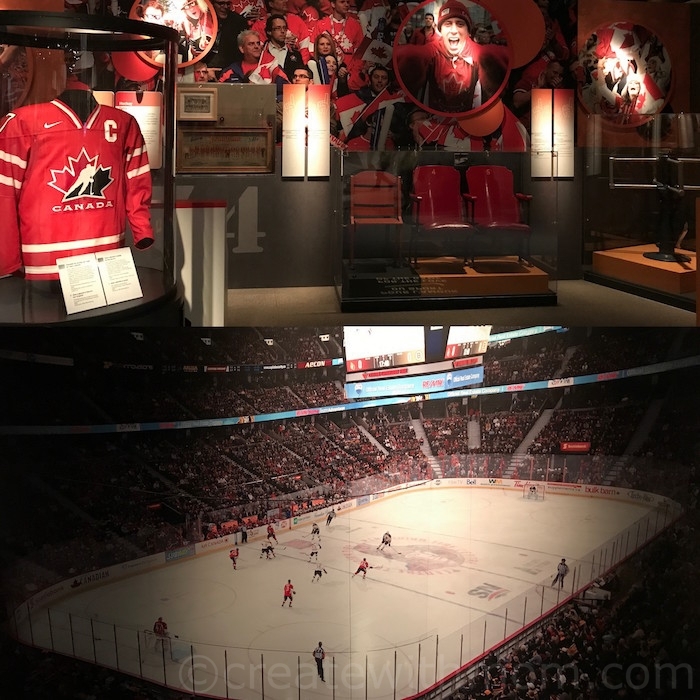 Hockey exhibit will be open until October 9, 2017 shows the historic highlights, artifacts and more. Moments From 150 Years Ago exhibit will be open until January 28, 2018 has archival documents, photographs, and artifacts. Snapshots of Canada exhibit will be open until October 2, 2017. It shows moments of the triumphs, failures and sacrifices in our history that has shaped our country. Canada Day 1 exhibit will be open until January 7, 2018. It shows how homesteaders to modern refugees have come to seek opportunity or escape disaster. Visiting the Canadian Museum of History is an educational experience that is rewarding for everyone in the family, as it narrates the history of Canada and its people. I love visiting different museums. So much to learn and discover. 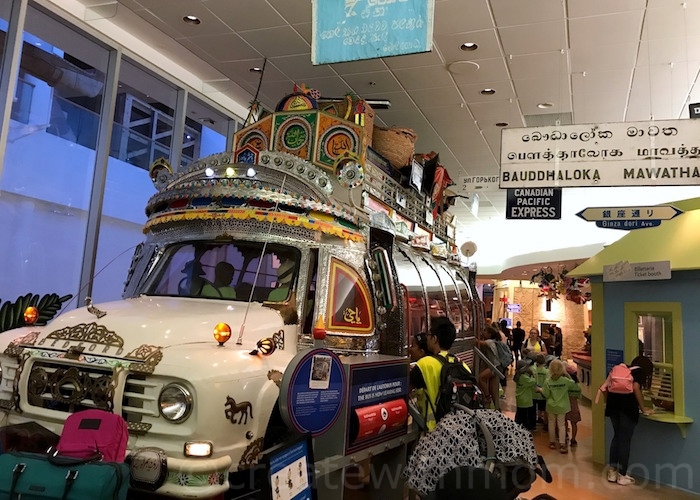 My entire family would enjoy the exhibits at this museum, thanks for sharing. 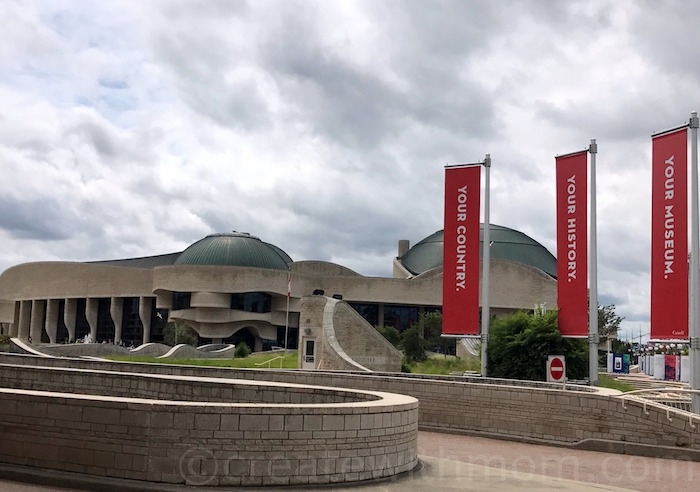 We have visited the Canadian Museum of History many times.